So far Trollope’s name has lived on into the twentieth century. The Trollope Society is working to ensure that it lives on well into the twenty-first century. Show your support for the work of the Trollope Society with this handsome enamel lapel badge. 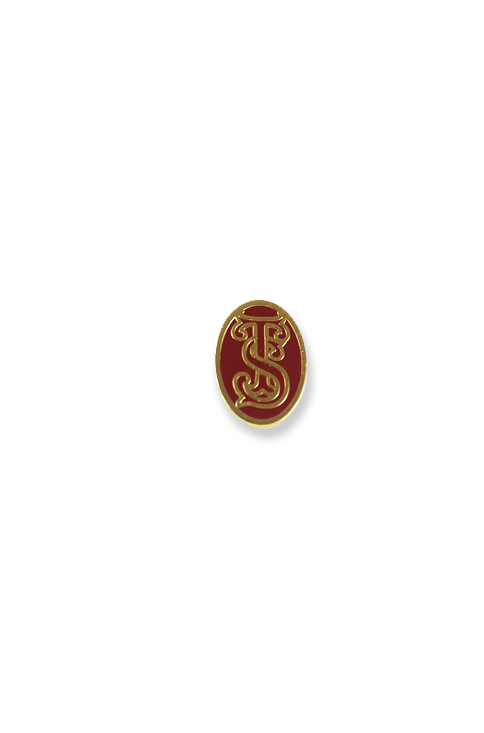 Featuring the Society’s interwoven TS colophon in gold with deep red enamel, this lapel badge can be worn with pride.